After you've suffered a miscarriage, the idea of buying a gift for someone else's baby and attending a party in which the glowing, happy pregnant mom receives a bunch of baby gifts may seem impossibly hard. Depending on where you are in your grief and your relationship with the person being honored in the shower, you may choose to opt-out or you may decide to steel yourself and attend despite your sadness. If going to a baby shower would just make you miserable and you don't think you could get through it without an emotional breakdown, don't go. If the shower is for someone you're not close to who's not aware of your loss, simply say you have other plans that day. Send a card and/or a gift with your congratulations instead. If the baby shower is for a very dear friend or close relative, it might be harder to not attend. You may choose to simply go as a gesture to support the person, but if you really feel you cannot handle going, decline—but talk to that person in advance about why you are not attending. Offer your congratulations and gift in private, but explain that you are still grieving and you're afraid a group gathering would be too much. Any close friend would understand completely why you're not up for a baby shower under the circumstances. If anyone is disapproving of your lack of attendance and makes comments like "I thought you would be over that by now," then that's not someone who deserves your company anyway. Try not to let others' insensitivity upset you or shame you into going. You may decide to attend a baby shower anyway if the shower is for someone else you feel very close to. In this case, the first step is to acknowledge to yourself how hard the event may be on you. Don't be afraid to step away to the bathroom if you need to cry for a minute, and don't be afraid to leave early if you can't handle it. If others attending the shower are aware of your miscarriage, be prepared for questions about your future plans. Pregnancy will be on everyone's mind, so people may ask you when you're planning to try again or make other comments about your miscarriage. Have a response ready in mind so that you are not caught off guard. Don't feel like you have to justify your grief to anyone. If you're visibly sad, don't try to hide the reason. People will probably think it's less weird if you say you're sad because you had a miscarriage recently and it still stings than if you try to make up excuses about why you're stepping away to wipe your tears. Tell anyone who asks that you came because you wanted to support your friend who is having the baby but that it's still hard for you to be around baby-themed gatherings. When you return from the event, give yourself some time to recharge. Take some time for yourself to regain your bearings and unwind. 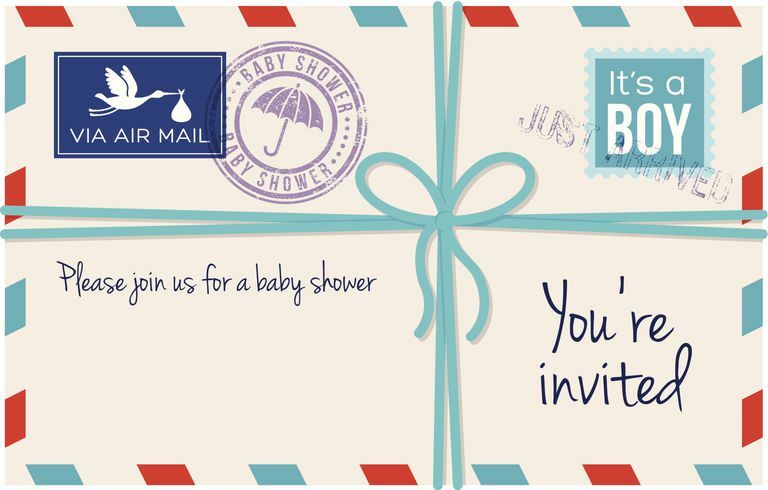 Whether you are attending the shower or not, you may feel like sending a gift along for your friend or relative's baby. In this case, consider buying something from an online store; at least you won't have to go into the store where every other customer is either pregnant or carrying a newborn. If you don't even want to browse a baby site, consider sending a gift certificate. A gift certificate is simple and doesn't require any browsing and it is sure to be appreciated even if it's just to buy diapers.